The Crown & Anchor's Central House restaurant is now open, Thursdays through Sundays. 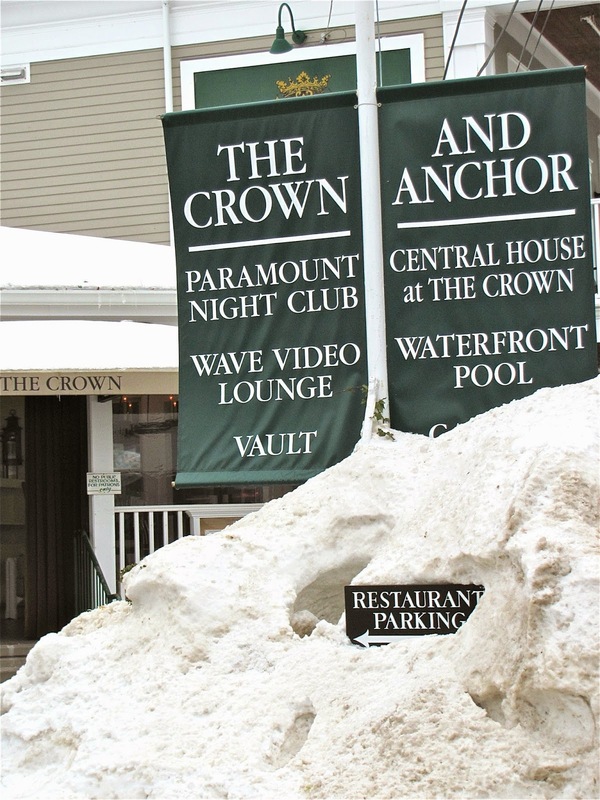 It was good to see the restaurant sign dug out of the snowbank at the Crown & Anchor not long ago. That means they've returned from their annual brief winter vacation, and that means there's once again a bright spot on Commercial Street for those in search of a good meal. The Central House at the Crown is now open Thursday through Sunday, with lunch and dinner on an "all day" menu, with favorites like their baked lobster mac and cheese, and new dishes featuring seasonal ingredients. will put a new twist on dishes served at Central House at the Crown. 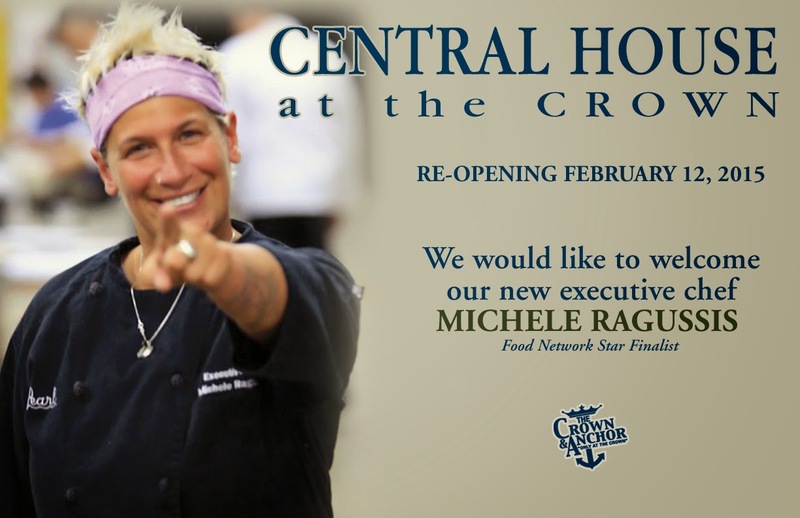 I've been eager to get there for a meal and taste the food of new Executive Chef Michele Ragussis. You may know her from a number of appearances on The Food Network, or from many New England restaurants where she's been Executive Chef over the years. We welcome Michele, along with Sous Chef James Cunningham, and can't wait to see what they have in store for us.